Beyond the romantic notions of Japanese martial arts as some kind of path to enlightenment or self-realization, they still have lots of practical applications. Japanese cops are one group of people who still incorporate martial arts into their everyday work. 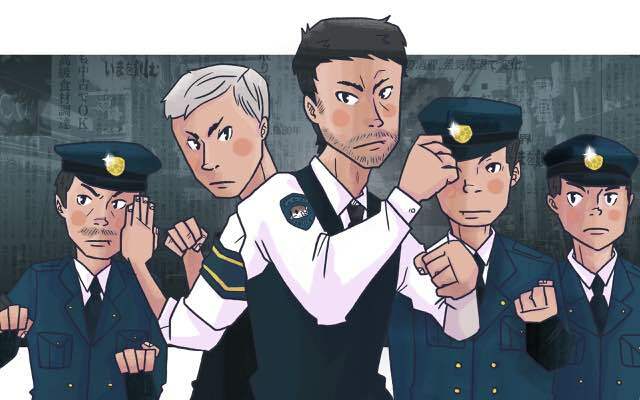 Japanese police work in a very different environment with a different set of tools and expectations than, say, American cops. 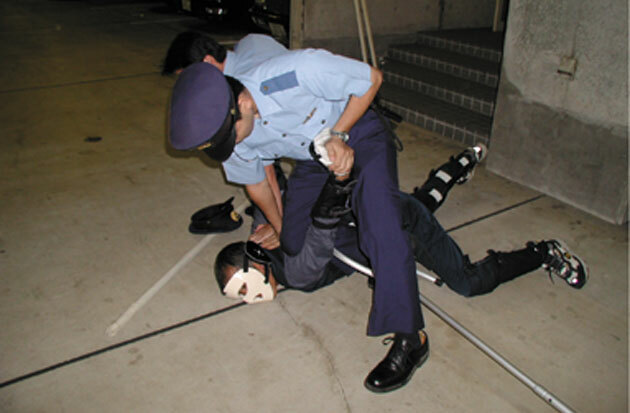 While an American police officer using their gun is uncommon, it’s even more rare with Japanese police. Using a gun in Japan, even if you’re a police officer, carries with it incredible consequences (the paperwork is the real killer), so it’s no surprise that the police have a wide arsenal of less lethal methods of subduing criminals. In that arsenal is a martial art known as taiho-jutsu 逮捕術（）, which literally translates into “arrest technique.” It’s used by police, Imperial guard, the Japanese Self-Defense Force, Kamen Riders, Sailor Scouts, and pretty much every law enforcement and military agency in Japan. Japanese law enforcement has used martial arts for a long, long time, but the modern taiho jutsu didn’t start to take shape until after WWII, around 1947. Post-war Japan was more or less entirely ruled by the occupying United States forces, which placed some restrictions on the way that Japanese police operated, including limiting their use of physical force and traditional martial arts. At first, this caused problems; the country was in ruins and unrest, and limiting police meant that they had a hard time keeping order. Fortunately, Japanese police officers turned lemons into lemonade and took the opportunity to basically build a new martial art from scratch. If you know about Krav Maga, the martial art developed by Israeli police and military, then you have a pretty good idea of what taiho jutsu is all about. 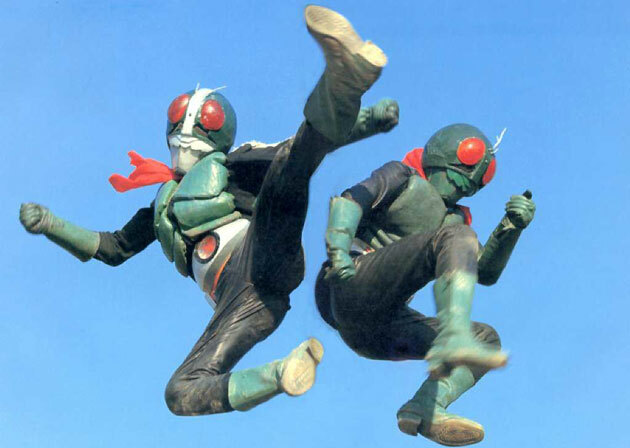 Both were developed for military and law enforcement, and both are built out of other martial arts. Taiho jutsu, unlike Krav Maga, had the benefit of being created in a place with a strong martial arts tradition. When the Tokyo police bureau was in the process of creating taiho jutsu, it gathered masters from lots of different martial arts including judo and kendo, along with experts in armed combat too. The martial art that was created in the postwar era was existed ever since, with minor revisions along the way. It incorporates lots of ways of disarming people with hand-to-hand combat, in addition to using police batons and, heaven forbid, guns. When Japanese police aren’t laying down the law against would-be criminals, they practice and show off their skills in exhibition matches between officers. Not only is it nice to work out aggression against co-workers in a sancation environment, but these exhibitions have the added bonus of providing officers with the incentive to train harder to beat their peers. Of course, taiho jutsu looks a lot different on the street than it does in an exhibition where all participants are wearing protective gear and have the same training, but these sorts of exhibition matches are still impressive. You get to see it all in action without knocking over a Family Mart. Not all police officers learn exactly the same thing; some parts of the country emphasize particular styles, whether it’s judo, kendo, or aikido. But one thing’s for sure: if you decide to break the law (like dancing past a certain time of night), you might learn pretty quickly what kind of martial arts your arresting officer knows.